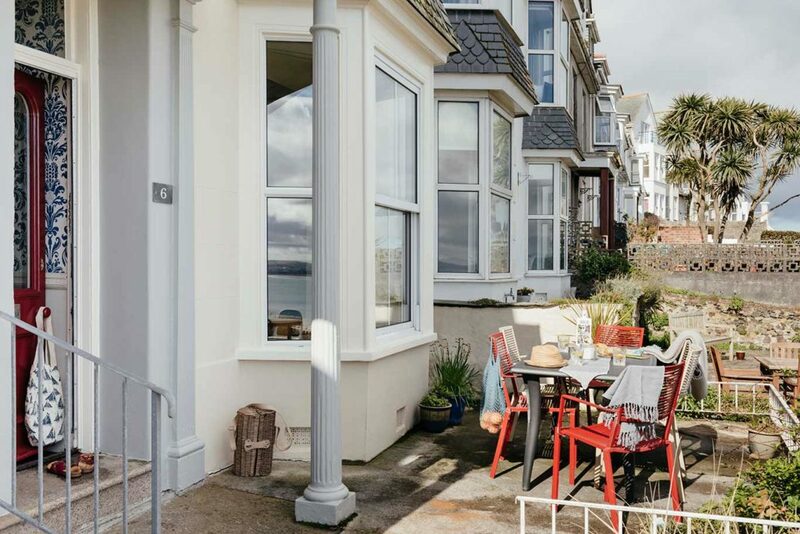 Our favourite approach is from Porthmeor beach, wiggling up the little side paths, past enclaves of tiny cottages, soon you’ll be at Barnoon Terrace. 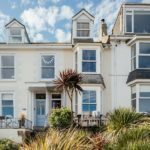 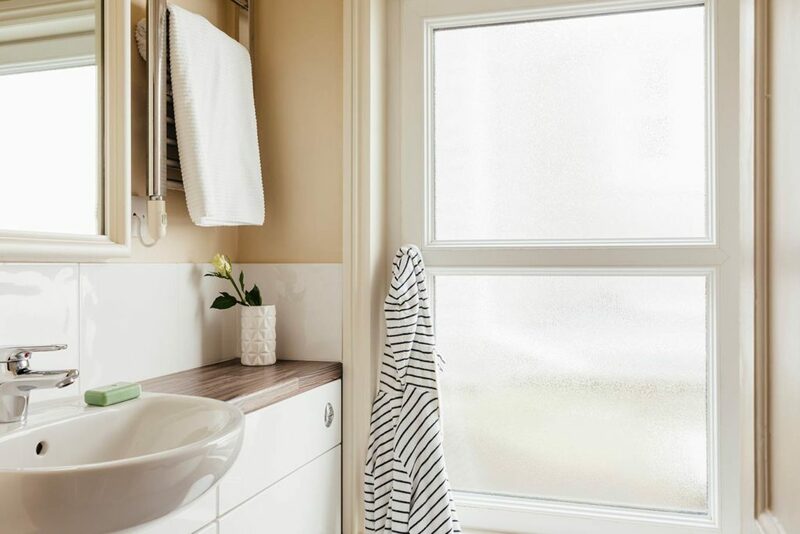 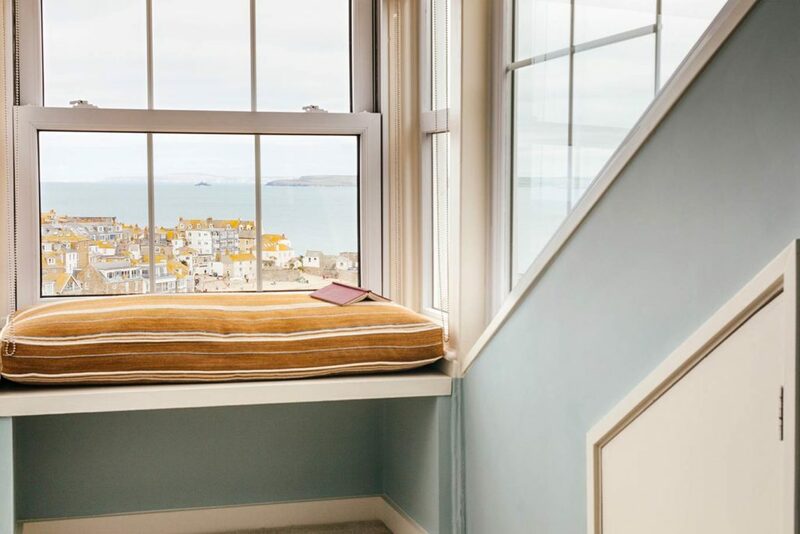 You’ll be greeted with far reaching sea views, some of the best in St Ives, with Godrevy lighthouse, St Ives harbour and the magnificent St Ives Bay all in view. 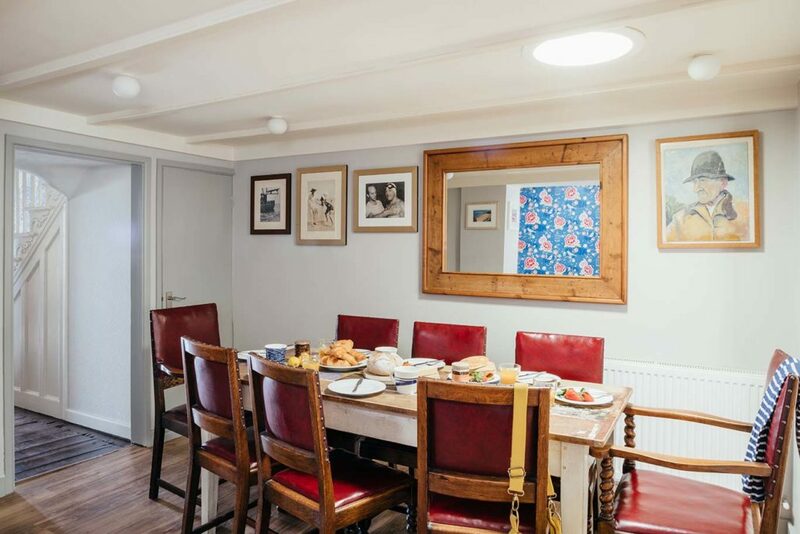 Adjacent to the lower garden is Ben Nicholson’s former home and artist studio, the original home and creative inspiration behind many of his famous artworks. 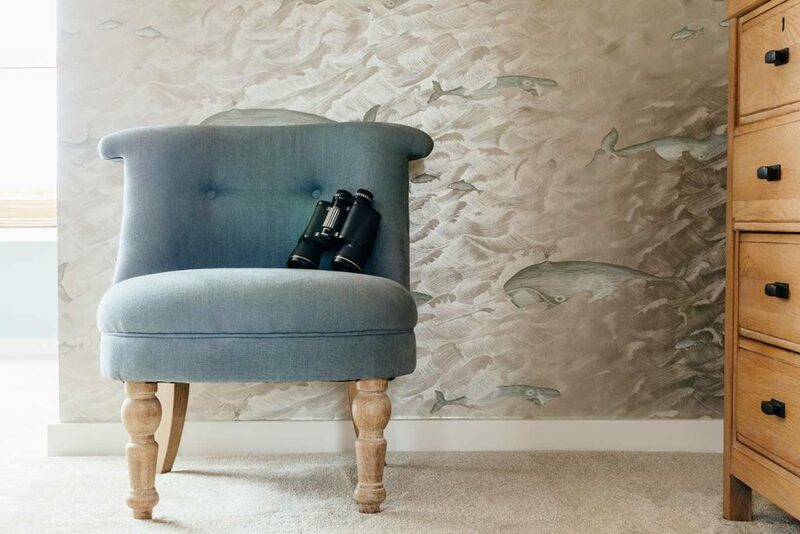 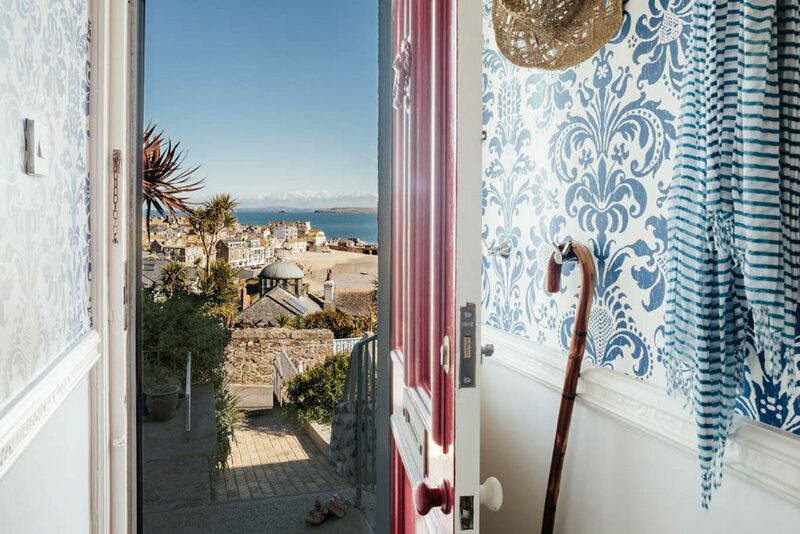 Bring your pad or easel and enjoy recreating the iconic images of St Ives from one of the many sea view windows, or even better on a sunny day from the garden. 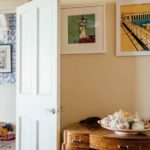 The St Ives School of Painting is only a 4-5 minute walk away and offers highly regarded courses and workshops, the perfect way to brush up on some new skills whilst in town. 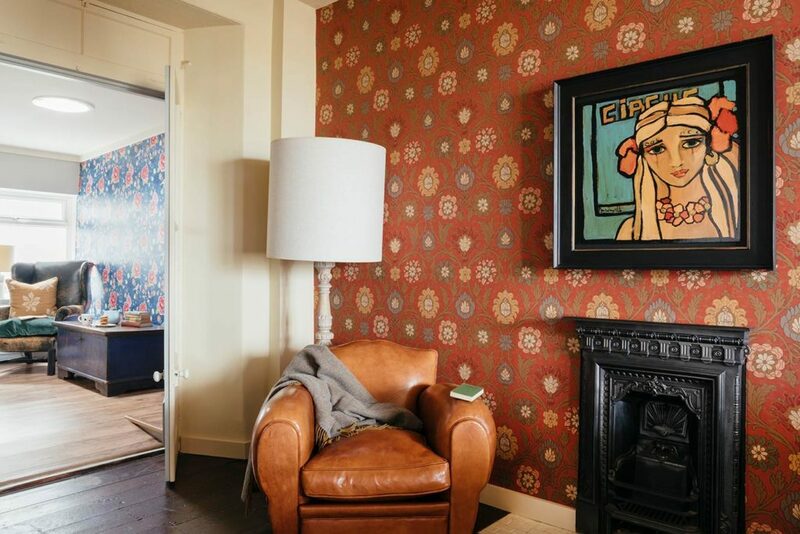 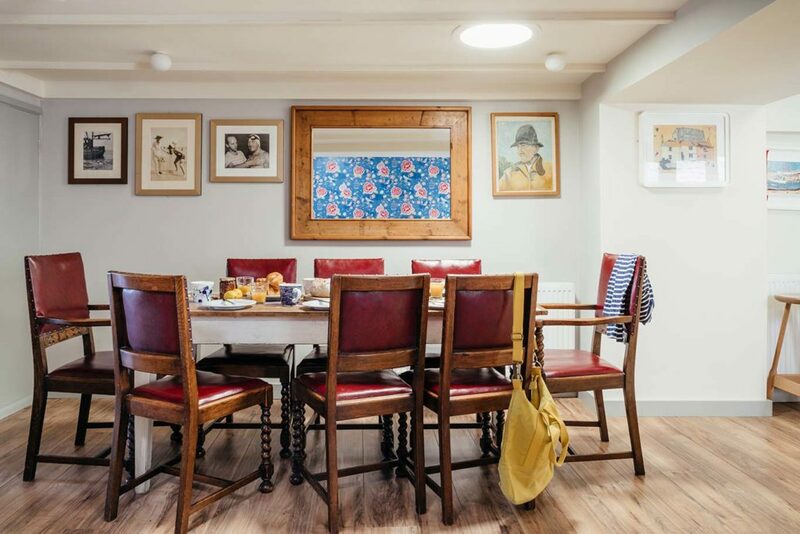 For those who prefer to meander around galleries and open studios, 6 Barnoon Terrace is well placed. 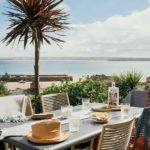 Tate St Ives is only a 2-3 minute walk away and the beautiful Barbara Hepworth Sculpture Gardens are in very easy reach to (we highly recommend a visit here). 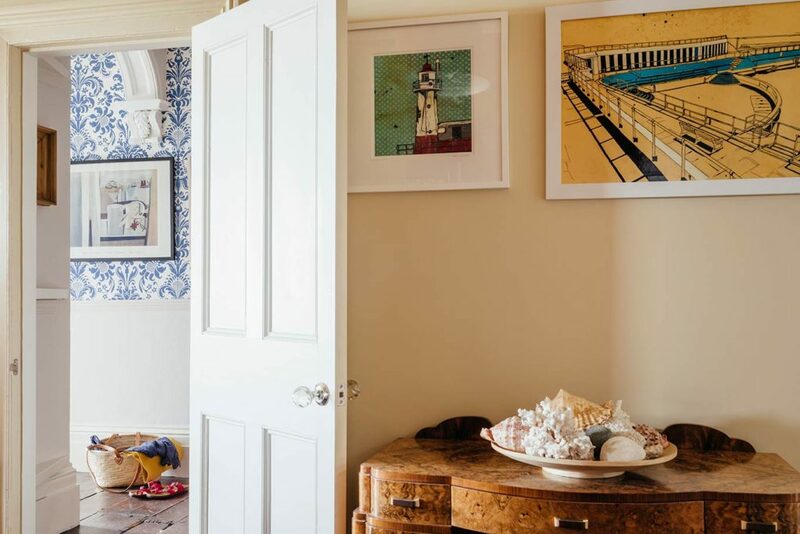 The plethora of independent galleries in St Ives are all in walking distance and we’d recommend paying a visit to Porthminster Gallery and The New Craftsmen in particular. 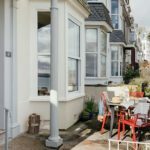 Head up the garden path to the front door and you’ll note a nifty place for your morning coffee in the sun with views across the bay. 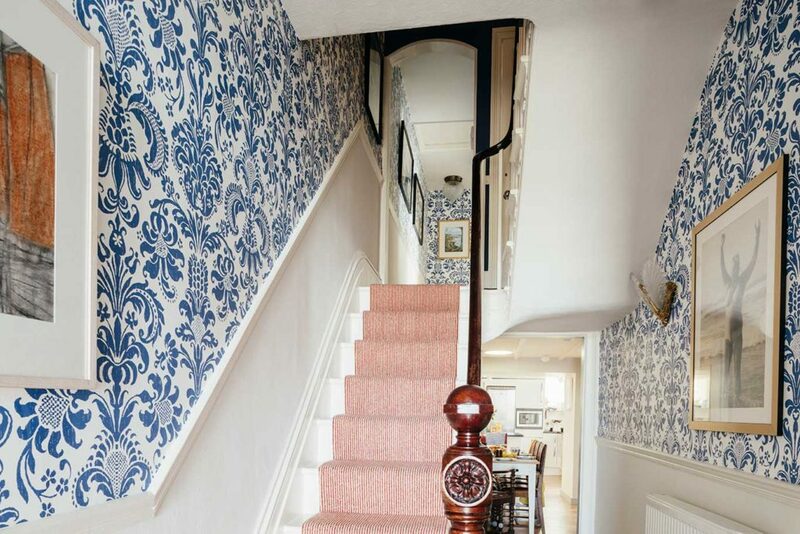 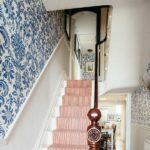 Pull open the traditional glazed front door and instantly you’ll see the charm and quirks of 6 Barnoon Terrace begin. 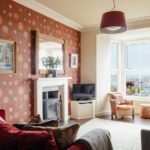 On the ground floor there is a living room with a wood burner and great views with warm red walls and well chosen furniture. 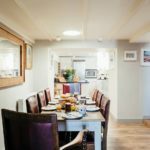 Walk around to the open plan kitchen dining area with casual seating, an amazing wooden dining table for eight and the kitchen. 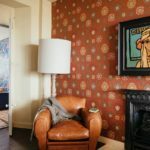 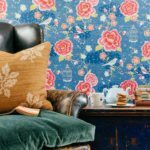 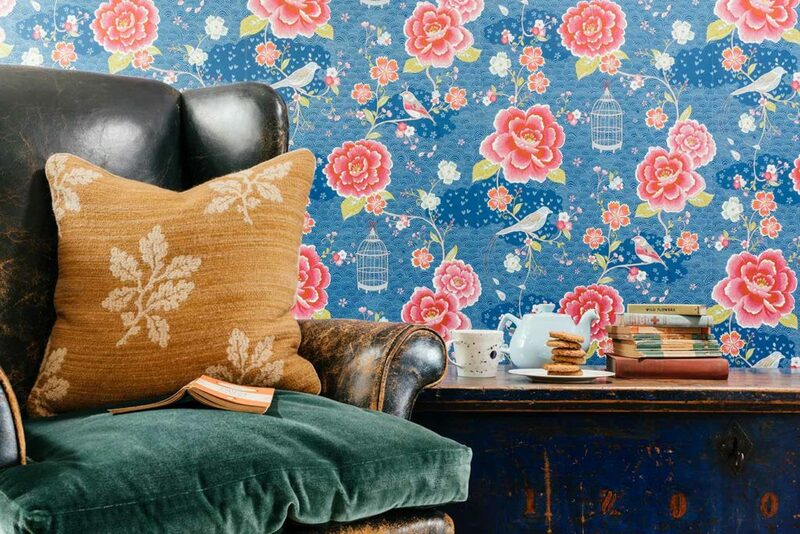 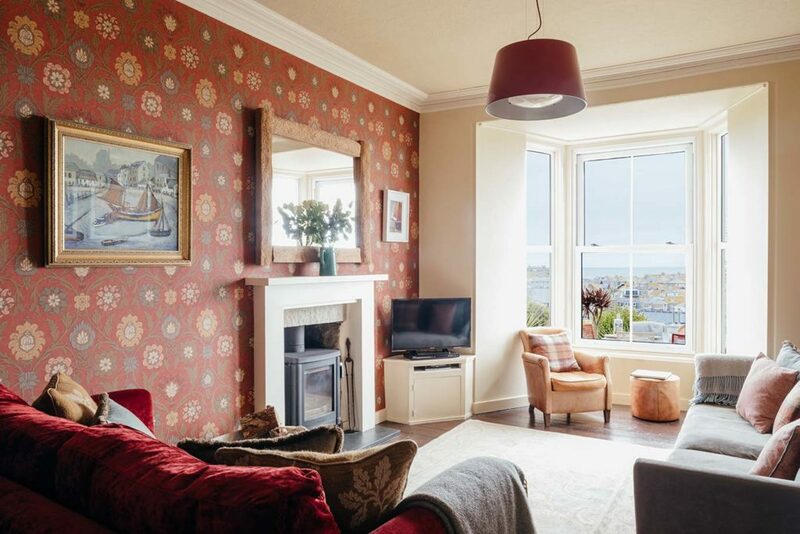 The deeper colours, printed wall papers and clever balance of distressed furniture to comfortable sofas add plenty of character and warmth throughout this floor. 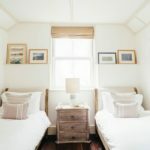 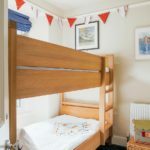 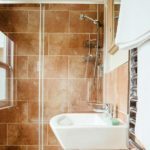 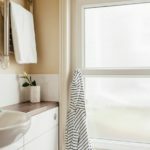 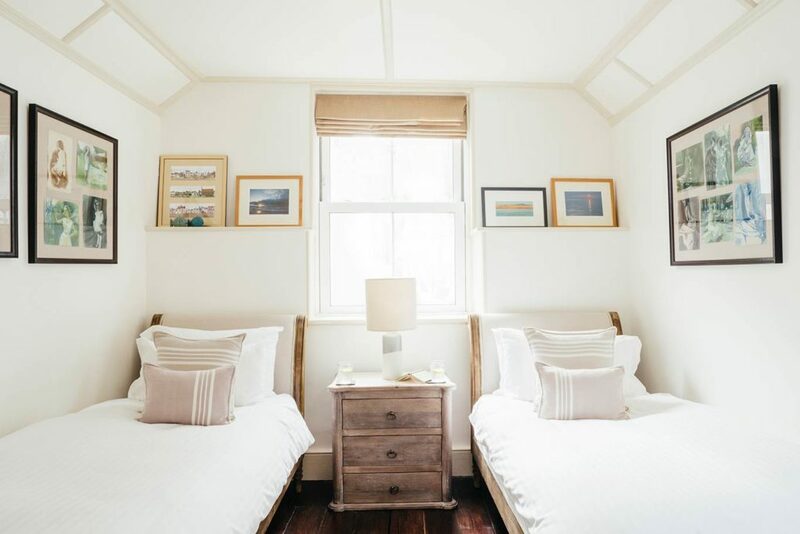 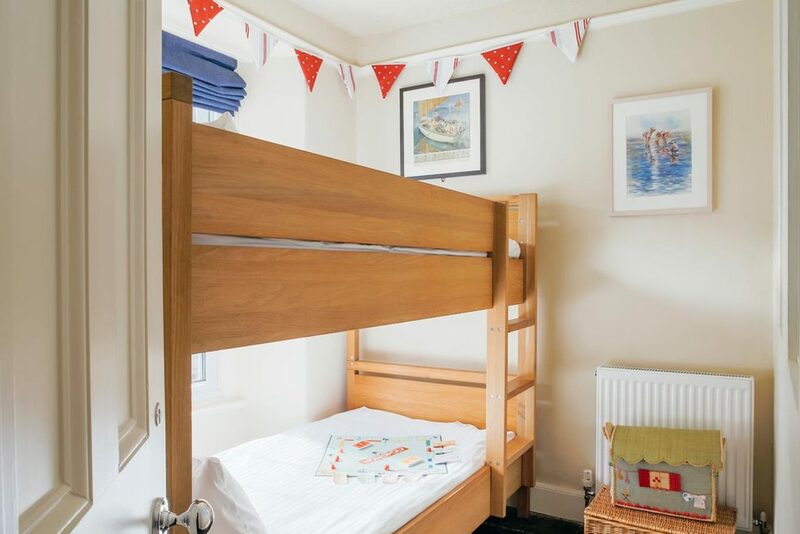 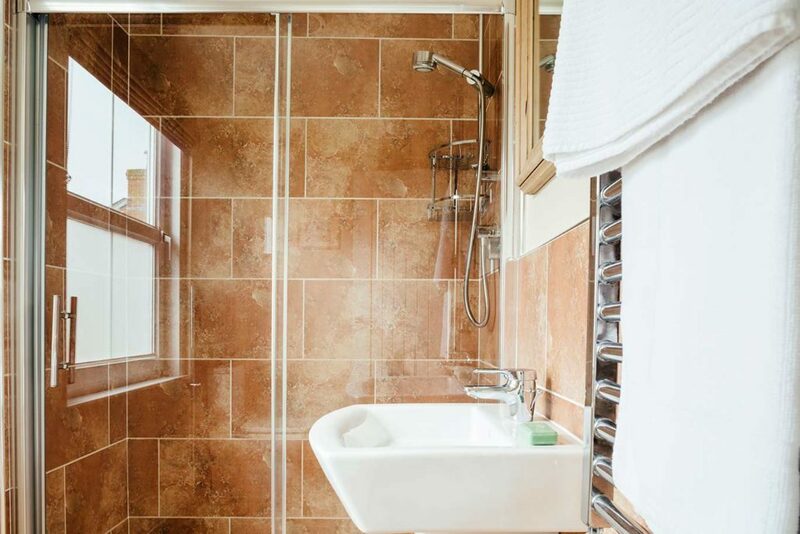 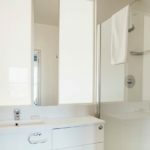 Head up to the first floor and you’ll find a double bedroom with sea views and an ensuite shower room, twin bedroom, master bathroom and the bunk room. 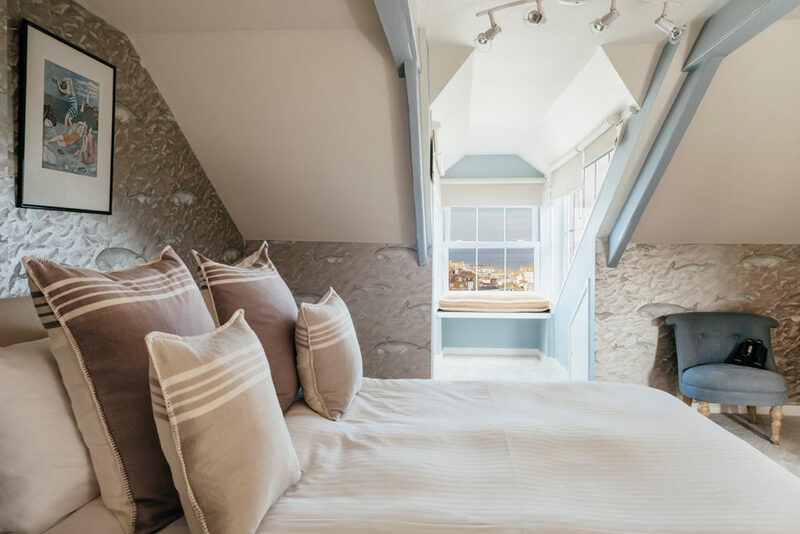 Head up another floor and you’ll find our favourite room, the master bedroom in the eaves with window seat and ensuite shower room. 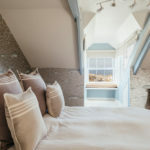 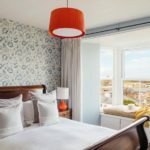 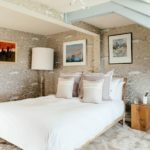 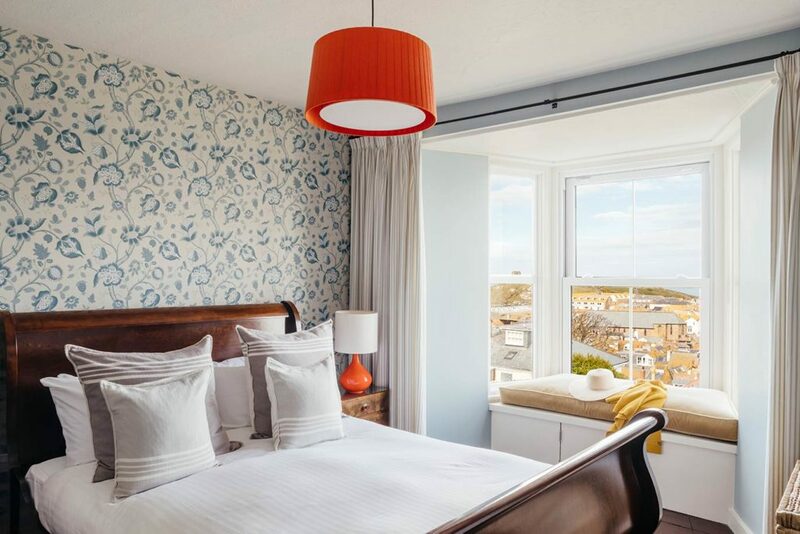 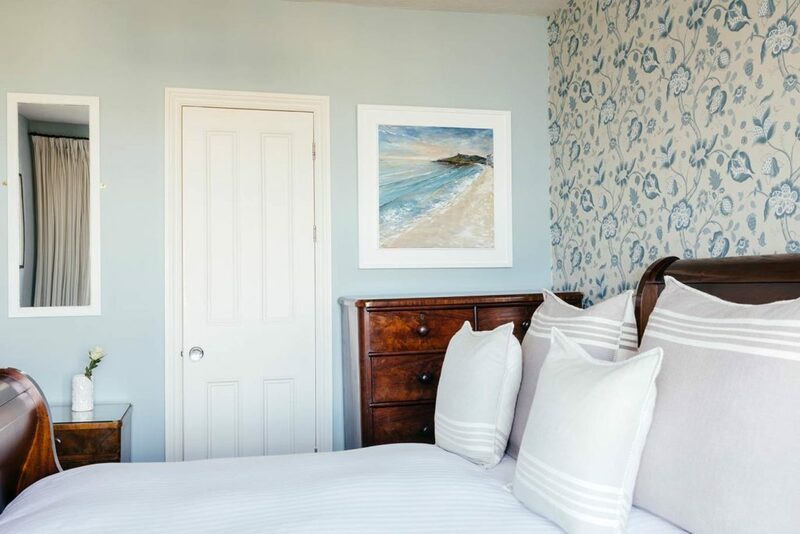 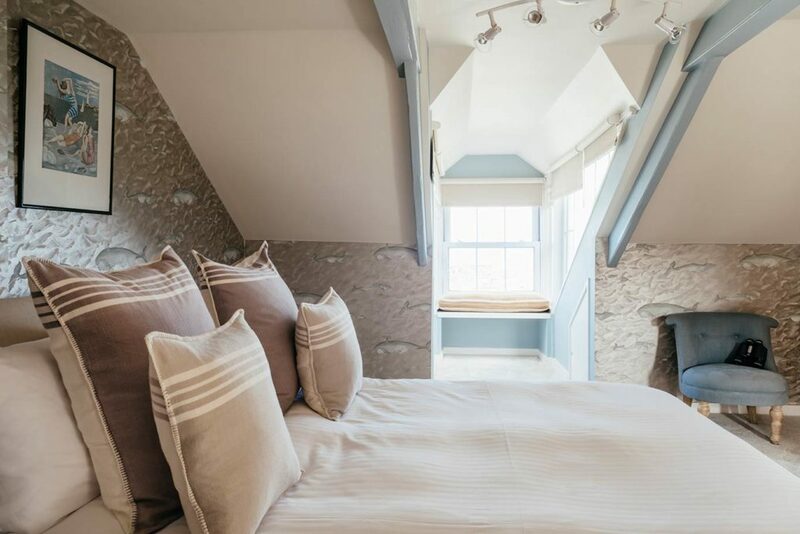 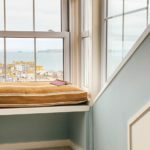 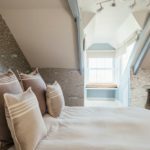 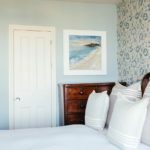 With far reaching sea views from this high up perch it’s easy to stay in bed and watch the sunrise from the East over Godrevy beach and St Ives Bay. 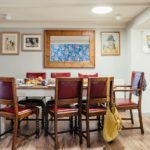 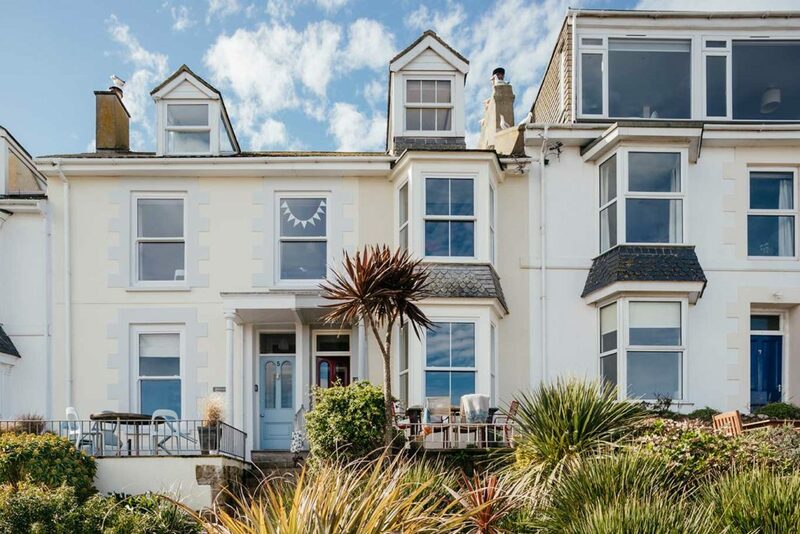 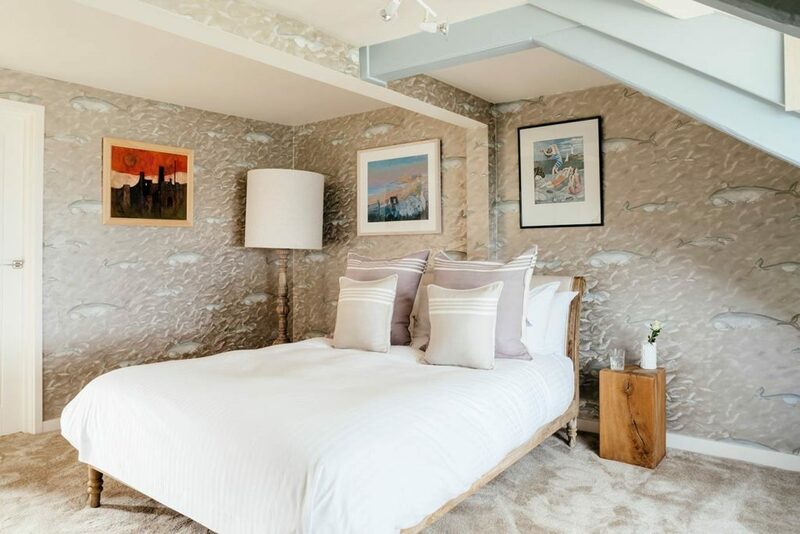 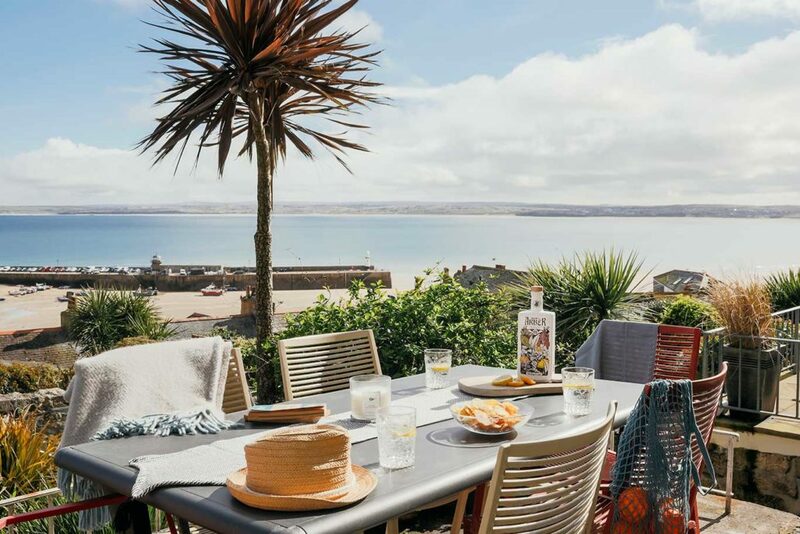 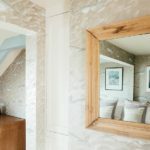 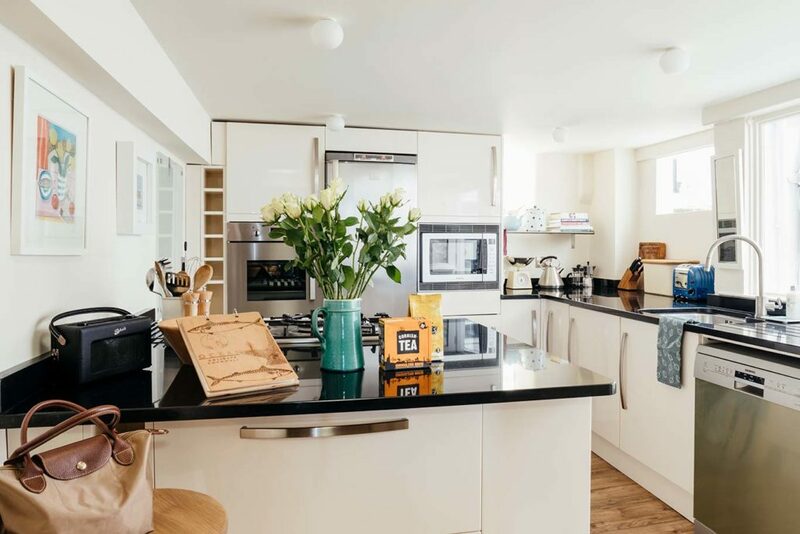 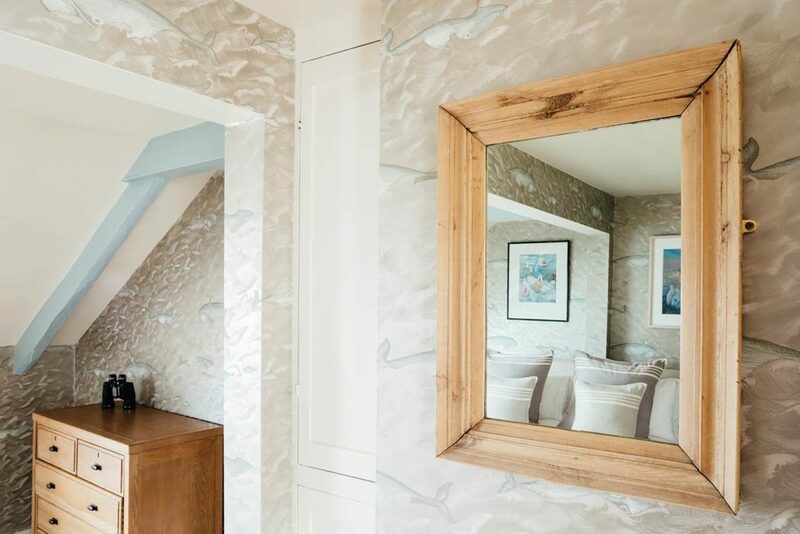 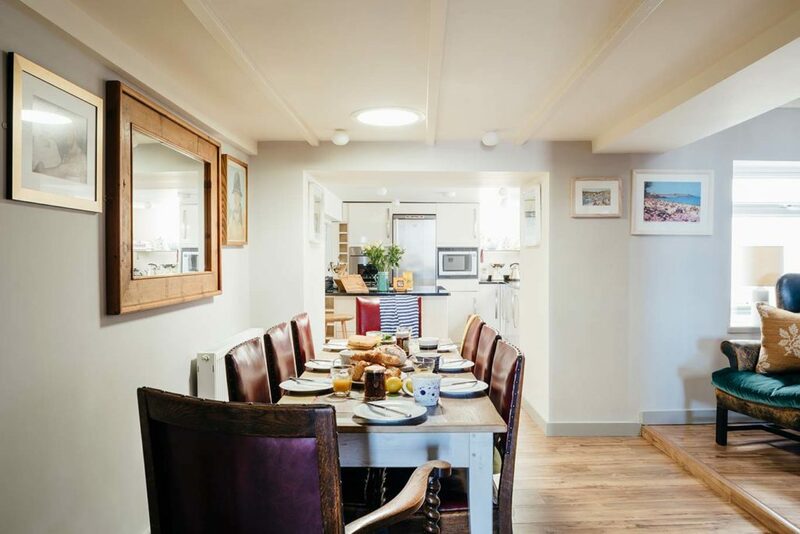 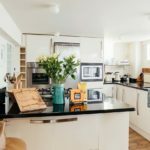 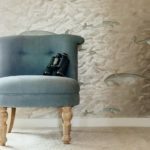 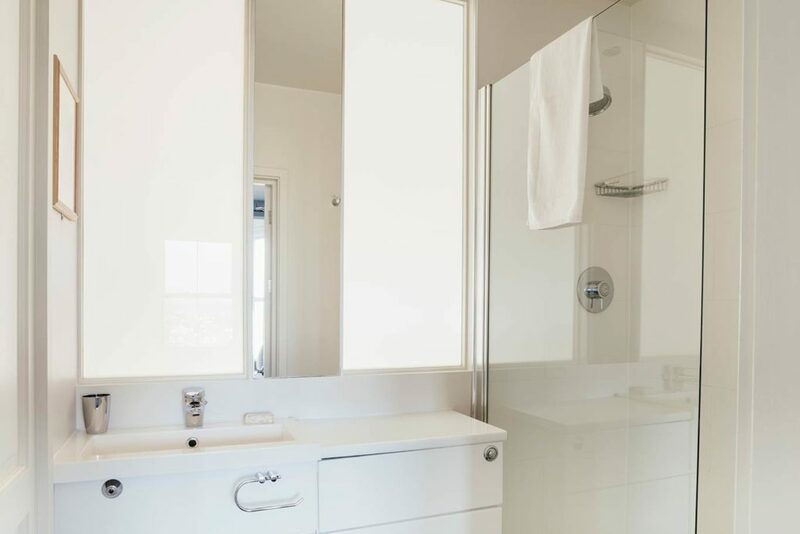 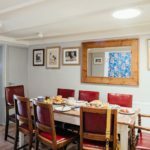 Within walking distance to the town, enjoying stunning sea views and an interior styled in a way you don’t usually see in Cornwall, we believe 6 Barnoon Terrace is a very unique way to holiday in St Ives.